How can a movement which was initially created to shine the torch of truth on the occultic new world order, now be contaminated with disinformation agents, shrills and with a theological undercurrent that is identical to the theology of the secret societies behind the new world order agenda? What is the attraction behind a movement which is capturing the hearts and minds of innocent young people fed up with government corruption and seeking truth? Is the truth movement now a victim of a counter intelligence project designed to spread disinformation? 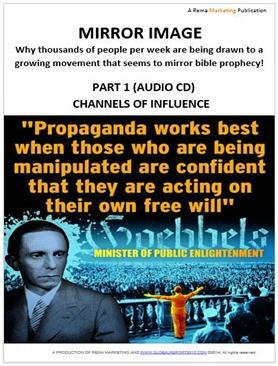 Over the last 20 years a new breed of secular prophets have arisen to awaken the world to the danger facing it if left unchecked as it hurtles towards a one world government. These prophets make reference to the prophecies found in the book of Revelation and Daniel regarding the rise of a micro chipped population and a big brother global government dictatorship. Their books and articles appear appealing (especially to the younger generation) and seem to be exposing many to truths hidden by the mainstream media. However is it possible that a secular explosion of truth prophets without the covering of Jesus Christ could remain steadfast in truth without being lead astray by the father of deception? 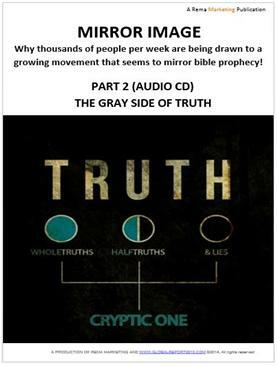 Is the truth movement compatible with the biblical understanding of the end times? Can both avenues that claim to be avenues to truth exist side by side or is there a need to fully understand the truth movement phenomena not only from a political perspective but also a spiritual one?